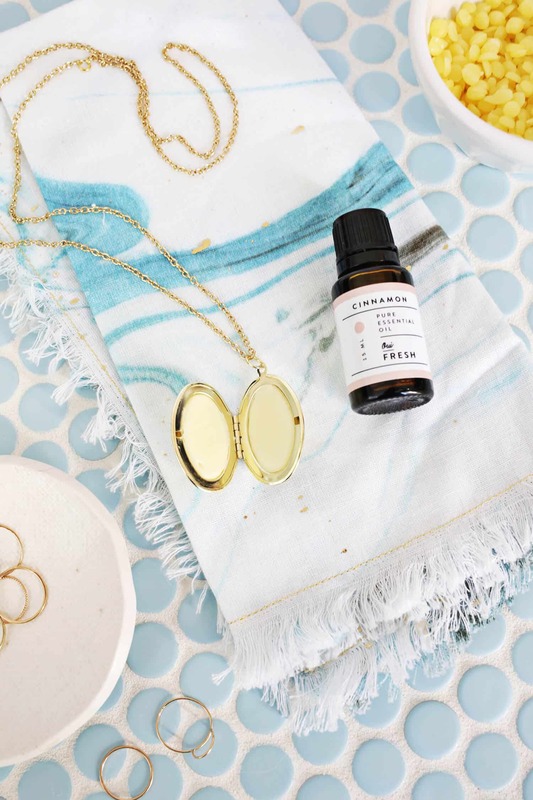 Jewelry DIYs are one of my favorite things to make. They are relatively quick, easy, and you can make something that’s totally specific to your taste. Do you wear silver? Gold? Like bright colors or mostly neutrals? The same exact concept can look like a totally different piece once you customize it to your taste and put your own spin on it. 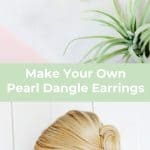 I thought I’d make some pretty dangle earrings, and a simple gold pair with pink pearls at the end sounded like just enough fun to be special but not too over the top so it could be worn a little more casually too. First you’ll want to use your cutters to cut two lengths of chain (make sure to make one set of two for each earring). One length will be 3″ long and the other 2 1/4″ long. Use your pliers to open a jump ring, loop the top of both your chains through the ring, and attach the ring onto your ball post. Close the jump ring with the pliers. Insert a head pin into a pink bead and use your cutters to cut the pin a little more than 1/4″ above the top of the bead. Use your round nose pliers to make the top of the pin into a rounded hook like in the photo above, but right before you close it completely, attach the hook to the bottom of one of your earring chains so the pearl dangles from the end. Repeat the process 3 more times so each of your chain segments has a bead at the end of it, and your earrings are done! I have all the supplies needed to make these, now I know what I’m doing this weekend! These are beautiful!! I especially love the pink + gold! 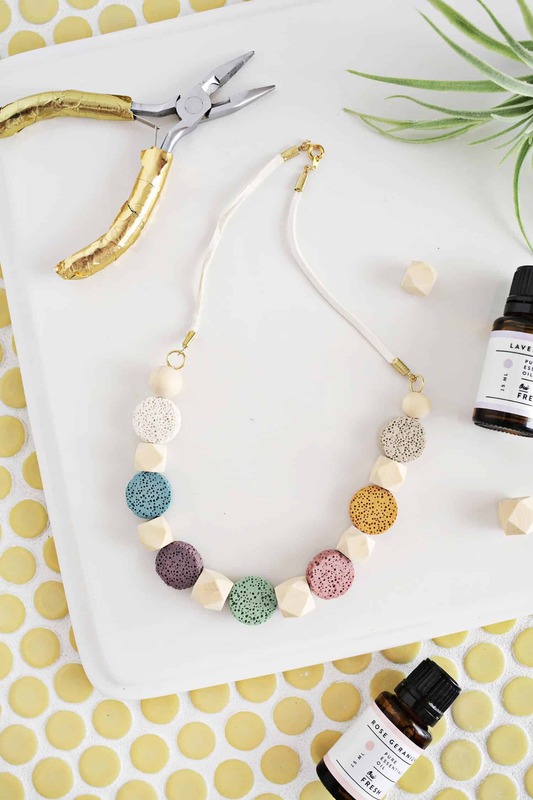 I clicked to quickly on this DIY! They are so gorgeous, I have to try this project on my own. They are just super cute! Ah, I always love your DIYs. I love the pastel pink of these earrings too. What pink coat is that ? Thanks so much for sharing this project, Laura! Those earrings look so chic and classy! They look so expensive and high end! You always have something new and interesting to share with us. 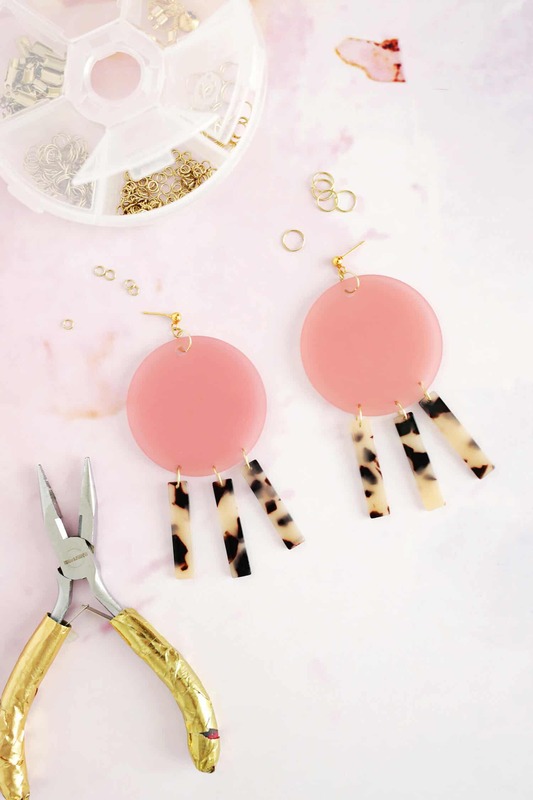 🙂 Love this DIY earrings. Looks super chic and elegant. Beautiful earrings! Excited to try them this weekend. Ps, i have looked everywhere for hexagon marble. Where did you find it? Very pretty and feminine. Thank you for sharing.